I want to share ABAP program to upload data cost planning via BaPI BAPI_COSTACTPLN_POSTPRIMCOST, this BAPI using for transaction code CJR2 , KP06 and KPF6. REPORT zif_ps002_upload_cost_project NO STANDARD PAGE HEADING. DATA : ld_tabix TYPE sy-tabix. DATA: t_excel LIKE STANDARD TABLE OF alsmex_tabline WITH HEADER LINE. wa_bapi_log LIKE LINE OF gt_bapi_log. SELECTION-SCREEN BEGIN OF BLOCK b2 WITH FRAME TITLE TEXT-002. IF gt_excel_upload IS NOT INITIAL. DATA : lv_proj_id(24) TYPE c.
reader TYPE REF TO zif_excel_reader. ex TYPE REF TO zcx_excel. CREATE OBJECT reader TYPE zcl_excel_reader_2007. excel = reader->load_file( p_file ). col_str = zcl_excel_common=>convert_column2alpha( column ). IF lv_value IS NOT INITIAL. lv_count_data = lv_count_data + 1.
column = column + 1. IF row BETWEEN 5 AND highest_row. col_str = zcl_excel_common=>convert_column2alpha( lt_col-start_col ). row = row + 1. PERFORM f_gui_message USING 'Finish Reading Excel Data ...'. FORM browse_file CHANGING p_file LIKE rlgrap-filename. READ TABLE filetab INTO p_file INDEX 1.
lr_messages TYPE REF TO cl_bsp_messages. 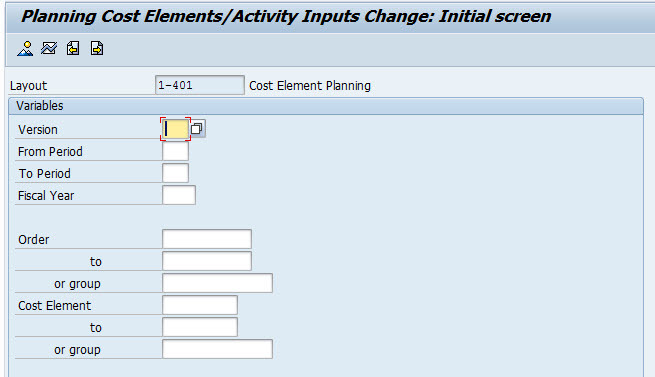 lr_label->set_text( 'Planning Cost - Upload Program' ). ls_return LIKE LINE OF lt_return. wa_bapi_return LIKE LINE OF lt_bapi_return. DELETE gt_excel_upload WHERE lvl = '0'. DELETE ADJACENT DUPLICATES FROM gt_project. CLEAR : lv_object, lv_value, ls_headerinfo. LOOP AT gt_excel_upload INTO wa_excel_upload WHERE proj_id CS gt_project-project_def. wa_bapi_log-message = 'Successfully Posted Plan Project'. LOOP AT lt_return INTO wa_bapi_log.